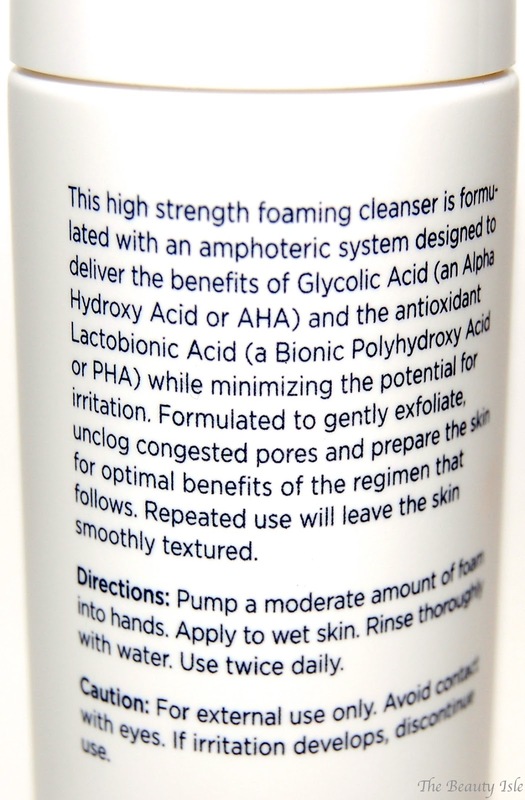 This face wash is formulated with 18% Glycolic Acid and 2% Lactobionic Acid. Glycolic Acid is known to smooth the skin's texture and unclog pores. Lactobionic Acid increases cell renewal. It is soap-free, fragrance-free, dye-free, and pH balanced. This face wash isn't for those with sensitive skin. Neostrata recommends it for "experienced Glycolic Acid users". I've used Glycolic Acids and other types of chemical exfoliants over the years so I figured this was a good product for me to try. I use this face cleanser at night. I first wash my face to get my makeup off with my regular facial oil cleanser and then cleanse with the Foaming Glycolic Wash. They weren't kidding when they said it's potent! I had a pimple that I had scratched earlier that day and when the face wash got into that wound, it really really burned! So if you have a scratch or anything like that on your face, keep this face wash away from there. Also, I haven't tried but I would say to keep this cleanser FAR AWAY from your eyes too! The first several times I used this face wash my skin tingled for the first few seconds. Now that I've been using it for several weeks it feels just like any other face cleanser. I apply the foam to my face and massage it in for about 30 seconds. I love that it rinses totally clean. I leaves my face feeling fresh and squeaky clean. After using this cleanser for about 3 weeks, I've noticed that the texture of the skin on my cheeks has improved a bit. I look forward to seeing even more improvement in my skin's texture with continued use! 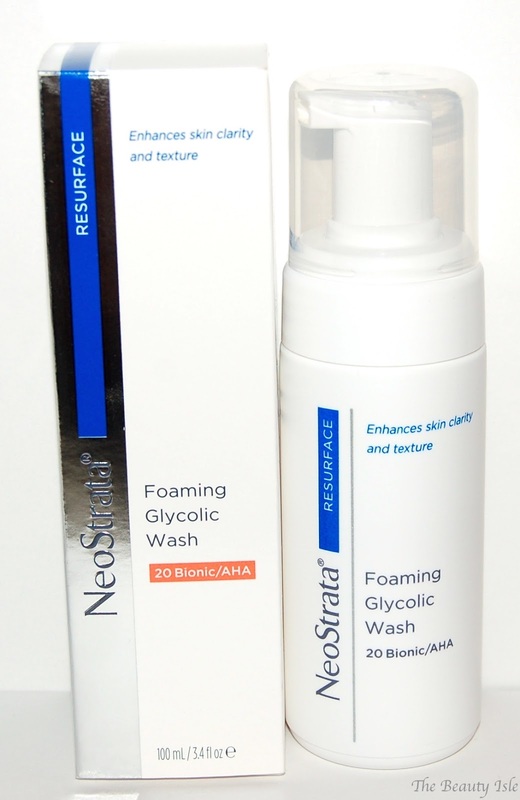 You can purchase this face cleanser for $40 at the NeoStrata website HERE. Don't forget to use EBATES though because right now they are offering 7.5% cash back on the NeoStrata site!